When you stay at Adelaide Dresscircle Apartments - Archer Street in North Adelaide, you'll be connected to a shopping center, within a 5-minute drive of Adelaide Oval and Adelaide Zoo. 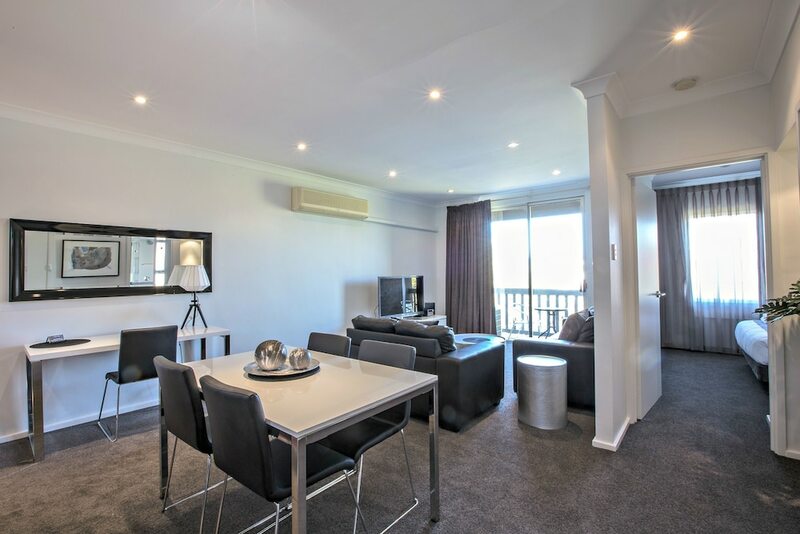 This 4-star apartment is 1.6 mi (2.5 km) from Rundle Mall and 7.3 mi (11.7 km) from Henley Beach. Make yourself at home in one of the 11 individually decorated guestrooms, featuring kitchens with full-sized refrigerators/freezers and ovens. Wired and wireless Internet access is complimentary, while flat-screen televisions and DVD players provide entertainment. Conveniences include desks and separate sitting areas, and housekeeping is provided weekly.